As a business owner, you will agree that we often find ourselves drowning in administrative tasks and just can’t find the time to get to everything we need to do. Thanks to technology and business process automation, we can improve our efficiency and turn our attention to more important aspects of managing our businesses. Let’s take a look at out how automation can help you achieve these goals. Business Process Automation is a process of managing information, data and processes by automation through computing technology. Successful implementation can help you focus your efforts and attention in the right places. Using it lets you hand off certain tasks to computers or computerized machines so that you can focus on more important work — work that only you can do. Back in the day, before automation, when you went to the bank to apply for a loan you had to complete a pack of documents as part of your application. You then submitted your application and went home hoping for the best. The bank would then process your application, perform the required credit checks and verifications and make a decision on whether to grant or deny the loan. If your loan was approved, you had to return to the bank to complete a new pack of documents and contracts to complete the loan agreement and have the money transferred to your account. This was a lengthy process with a lot of paperwork and required travelling to and from the bank. Today, with the help of computer automation, you simply go online and the automated banking processes complete the entire loan application process in a couple of minutes. The automated systems gather your personal information, perform the checks, calculate the loan risk, determine whether to approve or decline your application and prepare the agreements. No need to visit a branch or wait for an outcome. There are many obvious benefits to automation in the above example. How many can you think of? Here are four benefits to get you started. Business process automation can eliminate manual, time-consuming and costly tasks performed by employees and replace them with computer automated processes that work faster. 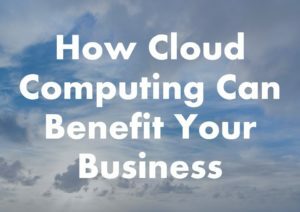 The efficiency and speed with which computers perform these tasks can provide your business with a competitive advantage. Customer satisfaction is the number one priority for all businesses. With automation, you can improve the quality, speed and consistent standard of service delivery. Thereby improving the overall customer experience and helping you exceed customer expectations with ease. Some businesses set up an automated help desk to handle customer service. By using online customer-service software you can create a central resource that answers frequently asked questions. You can provide highly detailed instructions or tutorials on technical issues. Online customer-service software also typically has a system for submitting support questions if a customer cannot find an answer to their question. The selective automation of repetitive tasks can streamline business processes and increase your overall productivity. This gives you more time to focus on tasks that add value to your business and turn your energy towards more rewarding tasks. Allowing your employees to spend more time on activities such as the processing of exceptional transactions, sales and market analysis, financial reporting, general problem solving and innovation will also contribute to the health and performance of your business. Business automation allows you to track the performance of your business and make informed decisions. There are many tools that can be used to generate reports, trigger tasks, and much more. They can put valuable information at your fingertips allowing you to make better decisions for your business. You could use an ERP system to measure your business activities against key performance indicators. Comparing actual revenues and expenses against forecasts and budgets and monitoring inventory levels against set minimum requirements are good examples of the advantages of using computer technology to help manage your business. 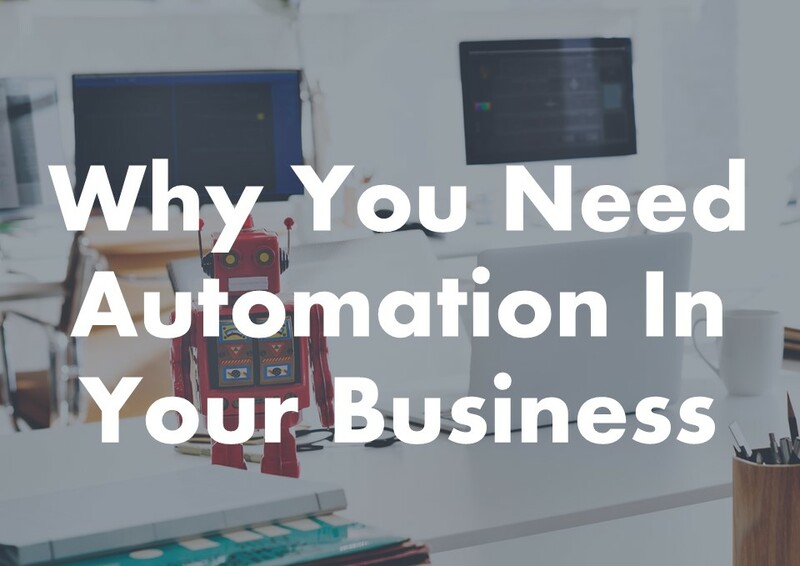 Although there are many benefits, there are some challenges that come with the adoption of business process automation. It’s important to be aware of these challenges. Automation can eliminate the need for workers that perform repetitive and easily automated tasks. It could also be used to open up opportunities for workers to learn new skills and provide them with time to focus on pleasing the customer, generating sales, improving the product, or engaging in other tasks that directly impact the bottom line. It is important to choose the right solutions for your business and that they are able to communicate/interface with each other. Therefore, you may need the help of a consultant to assist with implementation. Performing reviews of your automated processes to ensure that they are delivering the expected outcomes and performing well is vital to ensure that they will produce clear long-term benefits for your business. The world is ever-changing thanks to technology. There are many ways to automate business processes. We’ve discussed a few of the benefits for your business in this article. There are many more and many that may be unique to your industry or business. Take time to review the processes in your business and identify where you could possibly automate time-consuming and repetitive tasks. Don’t get left behind, do it now! And, consider asking your employees to help you identify key areas where automation will improve productivity. Do you need to improve your business processes? Consigliere can help identify and implement suitable computer automation systems and tools for your business. Contact us today.